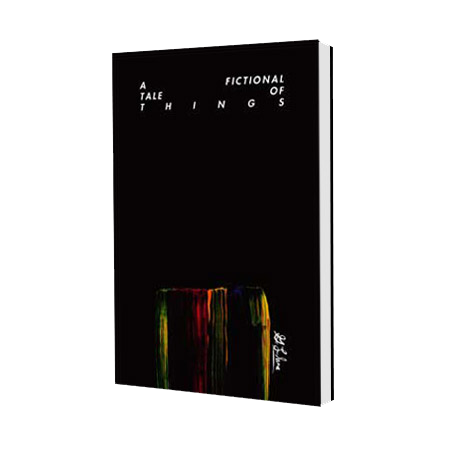 ‘A Fictional Tale of Things’ is the story of a person on the fringes of society, trying to reconcile existensial crisis and live an ethical life, admist…life. Part autobiography, part fictional narrative, ‘A Fictional Tale of Things’ is a dive into dreams, fears, satifactions, failures, and successes of the mind of artist Gary Llama. wife ended about as abruptly as it started. while since I had been in one, especially one this nice. a seat.” I follow him into his office…. towards a set ofscreens on the other side ofthe room. image of a girl. Sad. Close up. Bow in her hair. tendencies, into the new life you will live.